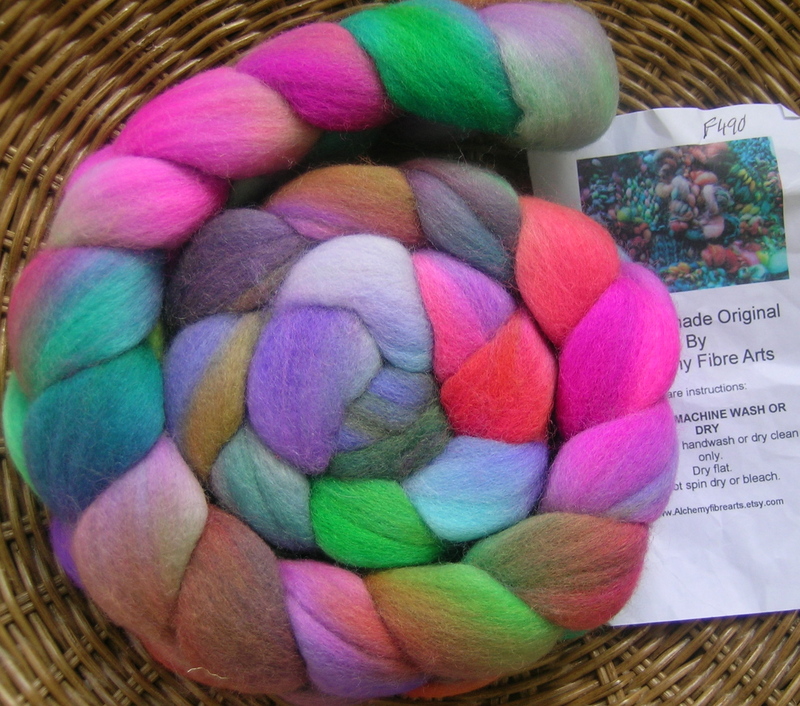 No, I am not destashing, but a spinning friend is, and I took great advantage to snag some fibers from lots of different Indy dyers. I love this riot of color. 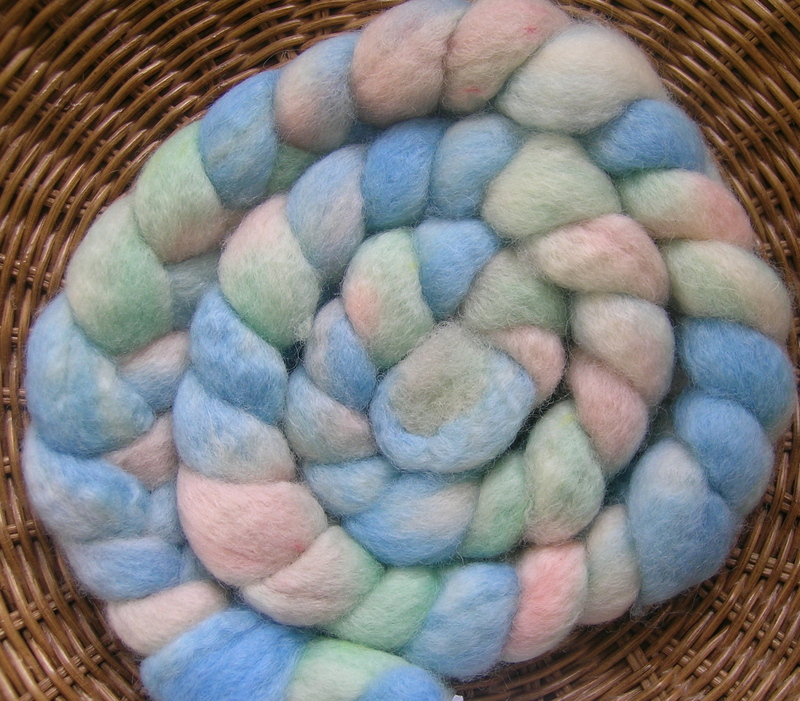 It gives me a good chance to try to figure out how colors will blend when spun. And, I saved a lot of money. Win, win. 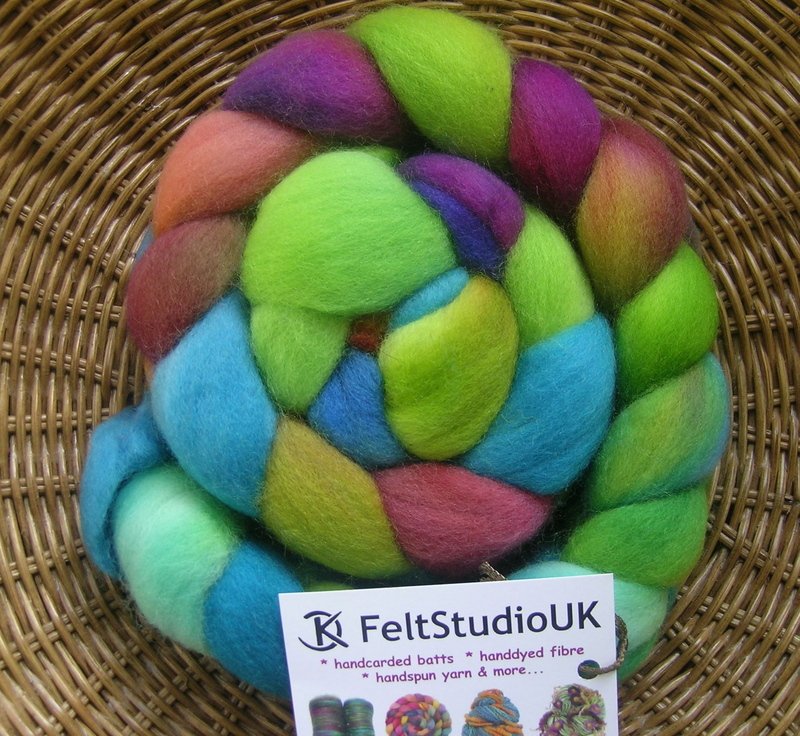 From Felt Studio in the UK, this is Superwash Merino. 105 g.
Secret Garden, 100% Merino by Knitty and Color, 4 0z. And this started it all. 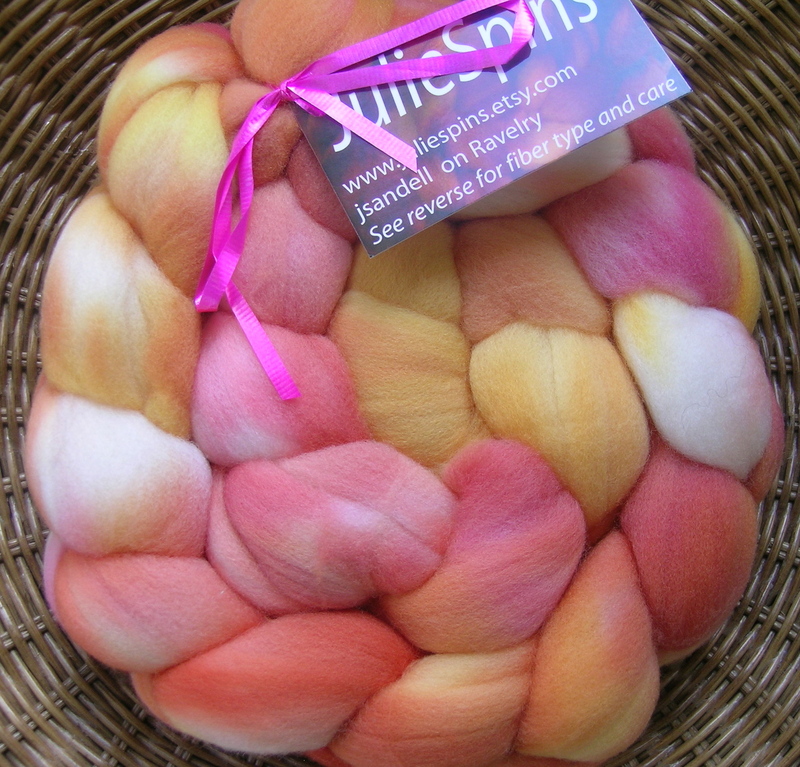 I am currently finishing up a SAL spin by JulieSpins, and was smitten by her service and the colors that she comes up with. 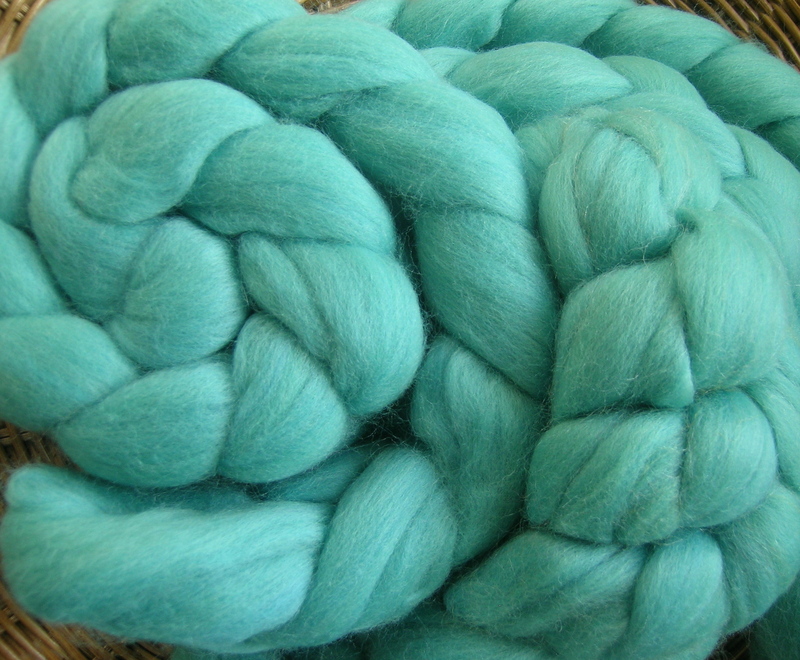 This beauty is 100% Merino, 5 oz, called Bright Miami. 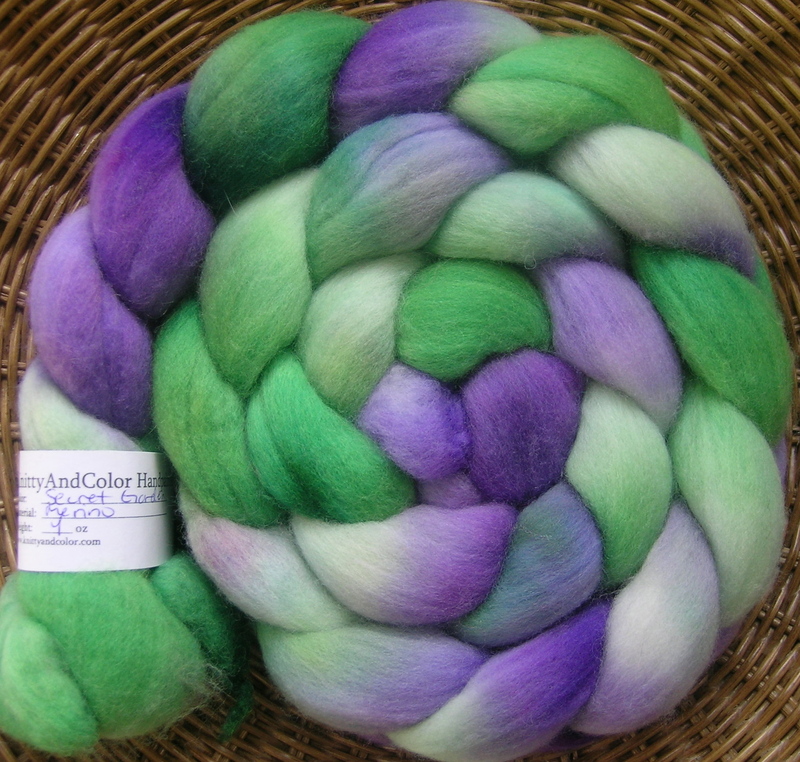 And I also added this 8 oz of plain Merino from Ashland Bay so that I could blend with something for some Fair Isle knitting. I am pretty sure that this is their color Jade. This should keep me busy through the winter, and give me some great color to brighten up the dreary days. 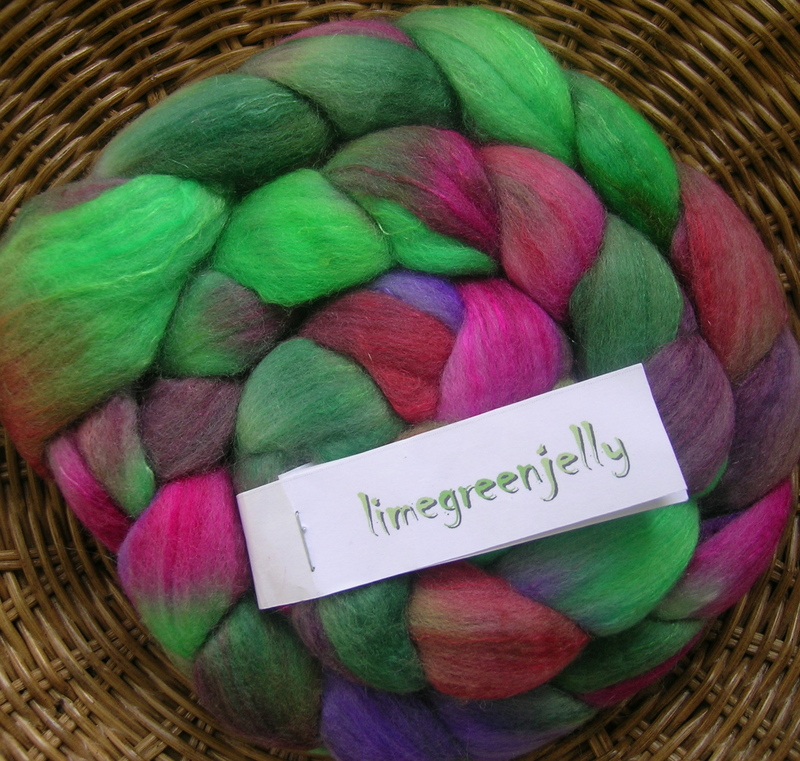 I love the colors–especially lime green jelly and the purple and green. Cool that you were able to help a friend out and take some of her stash off her hands. 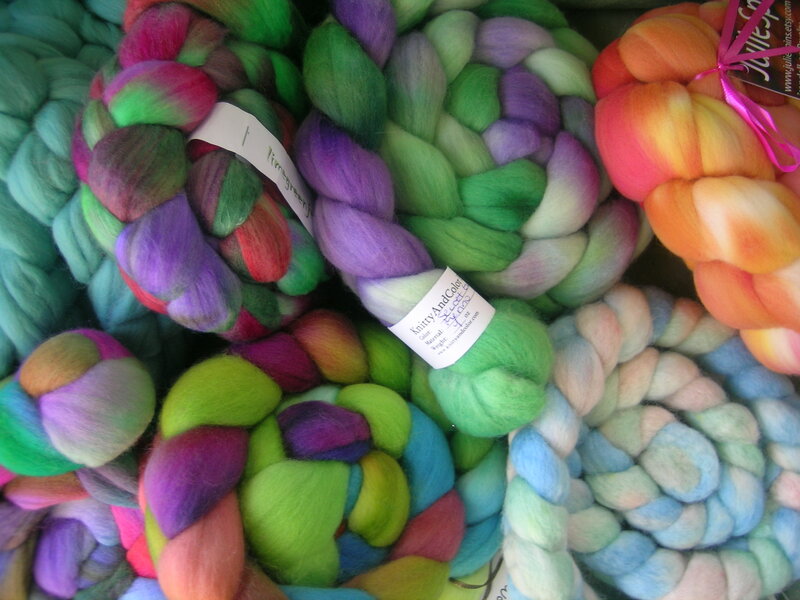 Looks like you have plenty of yarn to keep you busy.